Maple Ridge firefighters battle blaze at mill on Tuesday night. A fire early Monday in rural Maple Ridge has destroyed a house, garage and tack shop just days before the start of the holiday season. 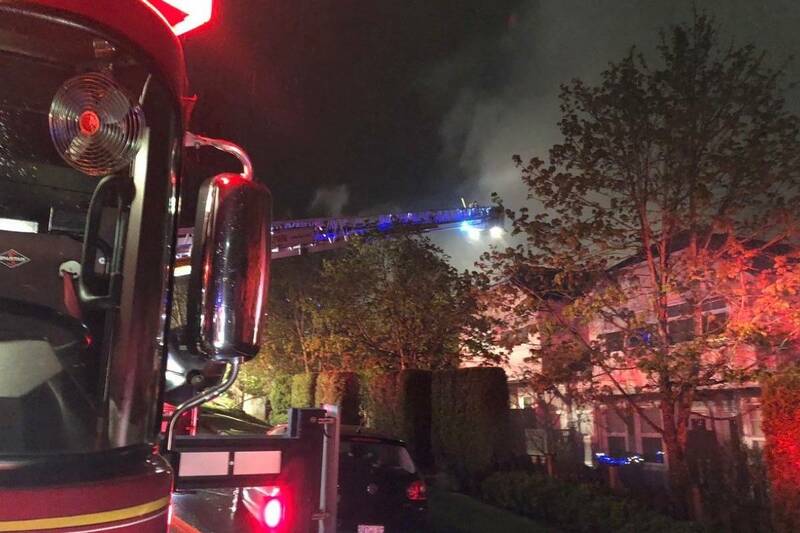 Maple Ridge firefighters got to the house on 112th Avenue near 251st Street just before 5 a.m., when it was fully engulfed in flames. However, there were no injuries, said fire chief Dane Spence. “It doesn’t appear that there was anyone home at the time.” He said the buildings are a total loss and there’s no cause identified so far. Firefighters were kept busy two nights in a row, after a blaze began at about 11 p.m. Tuesday night at S&W Forest Products on 288th Street, north of Lougheed Highway. Cause hasn’t yet been determined. There were no injuries.